This is one of my favorite days of the year. 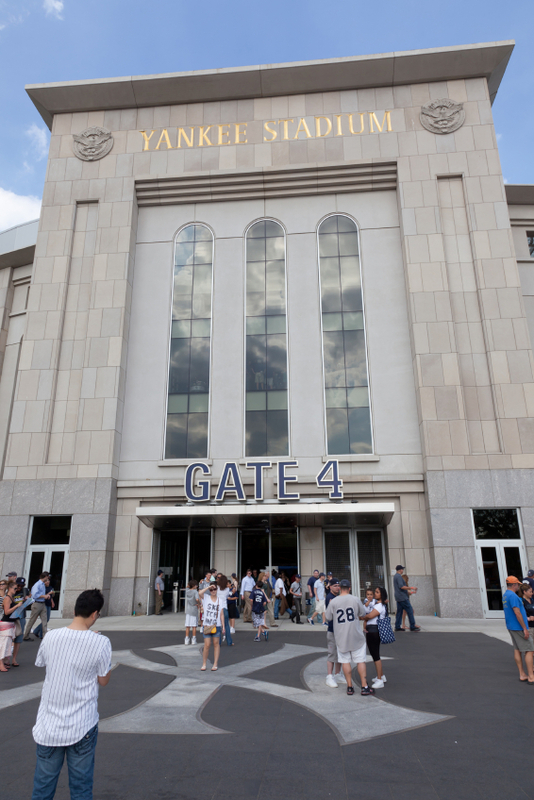 It’s the day my beloved New York Yankees play their home opener in the Bronx. This day makes me feel like spring has officially sprung. That means it’s the perfect time for me to encourage anyone looking to be more active to use the season to your advantage. No more excuses – Mother Nature is giving you the ideal backdrop to get out and get moving! I know I’m a gym rat. I also know there are people who just don’t like to go to the gym. However, that doesn’t mean you can’t get some exercise and feel great! Take a hike: I mean that in the nicest way possible. Take a walk: You can do double-duty and make up for some overdue catch-up time with a friend by taking him or her along for a brisk jaunt around your neighborhood. Hit the park: You don’t need a gym to do squats, lunges or even burpees. Use a bench for box jumps. Heck, go climb a tree! Hit the beach: If you’re a beach bunny like me, it’s never too early to get near the water! Wear or bring an extra layer of clothing to keep the spring-breezes at bay and hit the boardwalk. For an extra challenge on an uneven surface, take your feet to the sand. Hit the playground: Be a kid again! Swing on the monkey bars or use them for pull-ups. Play some pick-up: Get active and make new friends by shooting some hoops. Try a new racquet: Do you have a tennis racquet collecting dust in a closet? Dust it off and hit the court. Turn fantasy into reality: Forget make-believe baseball – get some friends and get on the field! Wherever you live and whatever your pleasure, I hope Mother Nature smiles on you this weekend so you can find some new opportunities to have fun, be fit and feel fabulous! Posted on April 13, 2012, in Fitness, Health and tagged Baseball, Home Opener, Laura DeAngelis, New York Yankees, Outdoor Exercise. Bookmark the permalink. Leave a comment.